I stepped into the world of music as early as 6 years old when I played the role of an angel during "Pasko ng Pagkabuhay" singing "Regina Coeli". Little did I know that it would be life-changing. I was able to finish College because of my scholarship with the PUP Bagong Himig and spent only 20 pesos for my tuition fee every semester. 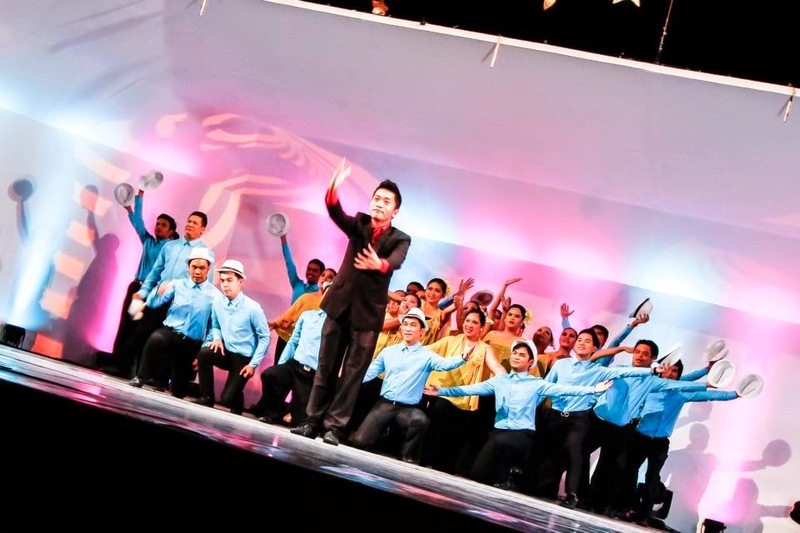 From then, my passion for chorale singing keeps on growing in each and every performance. Now that I am an active member of the Pag-IBIG Fund Chorale, it is an honor for me to have met and have known some members of the Philippines best chorale groups like the Madrigal Singers, UP Singing Ambassadors and Kammerchor Manila. 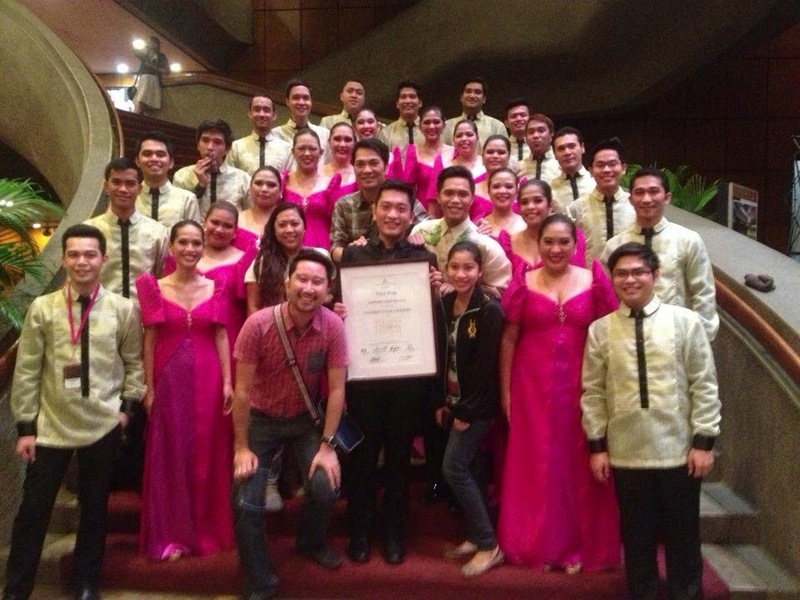 I have also worked with Kammerchor Manila several times already in some of the weddings I coordinated and I can really vouch for its great talent. 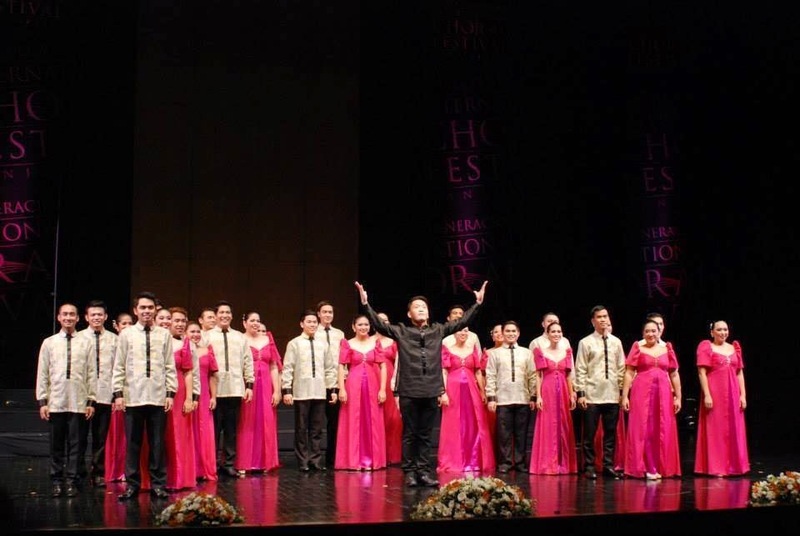 Let me tell you about Kammerchor Manila and why we should support them to their 3rd European Tour. 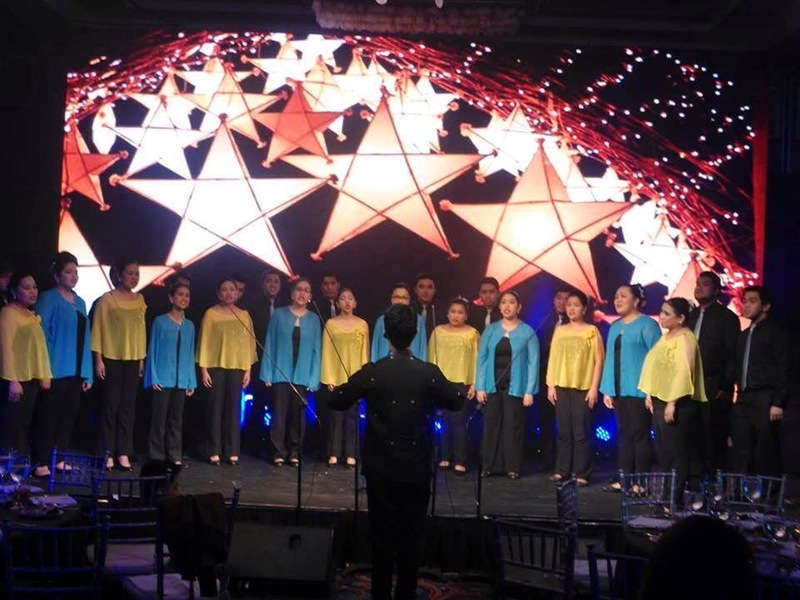 Since its humble beginnings in 1992, KM has evolved to be the Philippines' premier chamber choir as it is today by sharing its long tradition of excellent choral music and continued commitment of service to God. Founded by one of the country's music pedagogues and visionaries, Prof. Fidel G. Calalang, KM was originally formed as a venue for former members of the world-renowned University of Santo Tomas (UST) Action Singers (now UST Singers) to continue their passion for music. 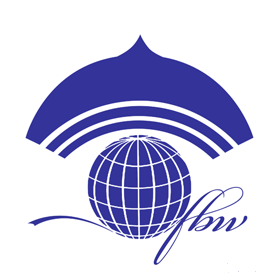 Through the years, its membership grew to accommodate everyone from all walks of life who wishes to share their talent and expertise while strengthening their ties with God. 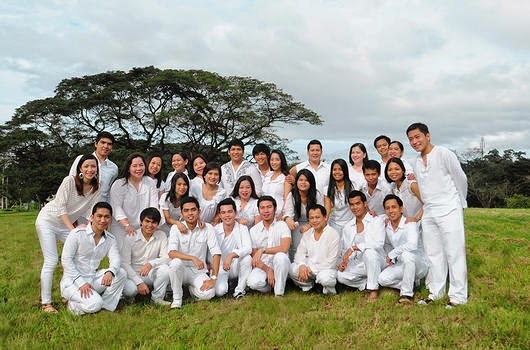 With a vast repertoire of different musical disciplines and genres ranging from madrigals to unconventional contemporary music, from folkloric to modern OPM, from musica sacra to pop, KM's musical artistry and versatility has earned them local and international accolades and recognition bringing continuous pride to the country. The International Choral Competition will take place in Baden near Vienna from May 22 to 25, 2014. Every competing choir will also take part at one of the partner concerts during the Long Night of Choral Music. Aside from the competitions in Austria and Czech Replublic, KM will also be staging concerts in the Netherlands, Germany, Austia (Vienna), Czech Republic, and Switzerland from May 16 to June 14, 2014. 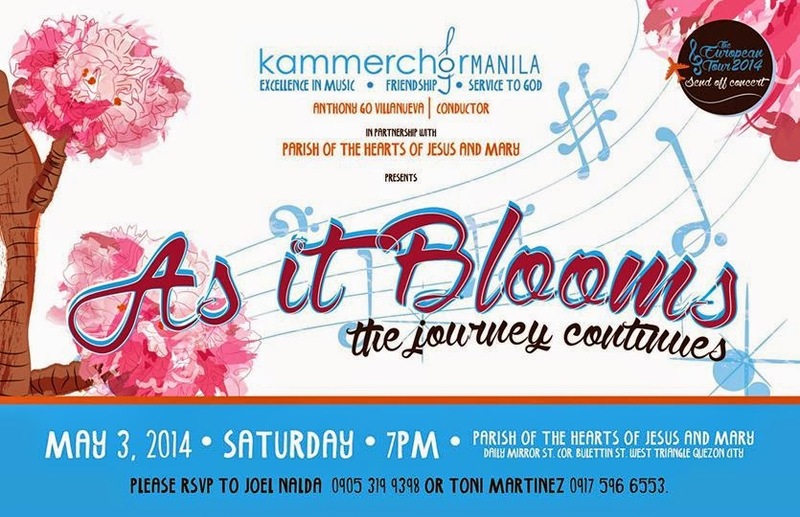 As a way of expressing their gratitude to your support, KM is cordially inviting everyone to a FREE send-off concert, "As It Blooms, the Journey Continues" on 3 May 2014 at 7pm. 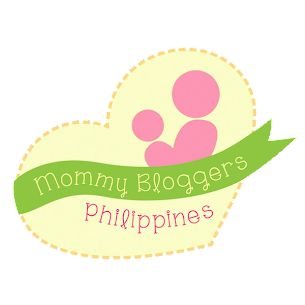 To RSVP and/or for pledges, please send complete name to Joel Nalda 0905-3199398 or Toni Martinez 0917-5966553 by April 30. 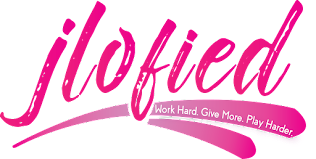 Likewise, they humbly seek for your support for their upcoming tour by donating any amount to help them in their fund-raising efforts.